offers a variety of cabins; from one bedroom honeymoon style cabins to eight bedrooms and more to accommodate large groups. If you are going to stay in the Pigeon Forge area, you might as well get a beautiful cabin at a great price. There are many cabins to choose from and Pigeon Forge Cabins only rents the best at an affordable price! 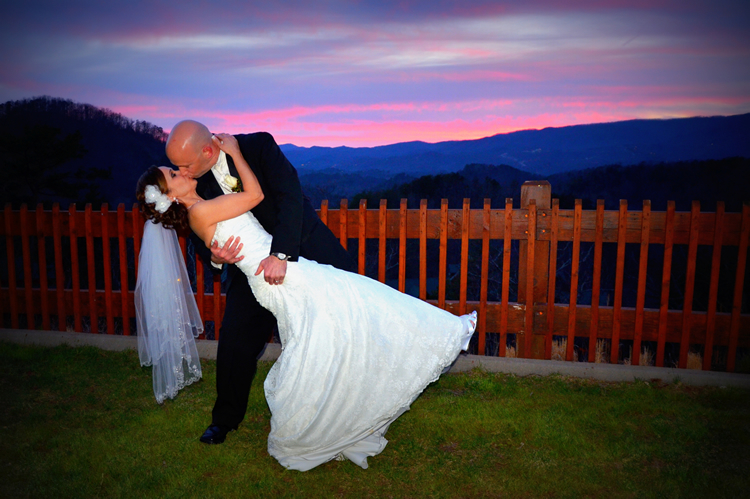 Pigeon Forge Cabins and Resorts takes pride in the fact that we have been the number one choice for cabin rentals in the Smokies and Pigeon Forge for more than fifteen years. We are a family owned company so if you want personal service just contact Pigeon Forge Cabins and Resorts at 1-888-889-7865. We have online reservation 24/7. Use the drop-down menu above to browse our cabins by Bedroom or click here for a search form that will let you narrow your search for a cabin by the number of people it sleeps and/or by price. Pigeon Forge, in East Tennessee, is surrounded by the Great Smoky Mountains and beautiful scenery for every season. Our town is made up of a delightful mix of life-long residents, young families attracted by nature’s beauty, and folks who have chosen to spend their retirement years in Pigeon Forge.Early history of our town dates back to before the Revolutionary War. Our first business was established in the early 1800’s. While Pigeon Forge once was a small farming community, the lure of the mountains brought more and more visitors to the area, and new businesses were established to meet the needs of these travelers. Today, Pigeon Forge is a major tourist destination, and while we take care of more than 10 million people who visit each year, our residents are still our top priority. In addition to our Smoky Mountain scenery, Pigeon Forge has plenty of parks and recreational areas, an outstanding community center and public library, as well as an excellent educational system that ranges from pre-school through high school. You’ll find Pigeon Forge is an all-American town with a wholesome atmosphere, brimming with family values and old-fashioned Southern hospitality. If you’re looking for a perfect getaway, we have the perfect cabins to stay in while you are here to see the outstanding attractions that make Pigeon Forge one of the top vacation destinations in the country.